The Rhodesian Ridgeback is a large, muscular hound. The broad head is flat between the ears. The muzzle is long and deep, with a defined stop. The nose is black, brown or liver, depending on the coat of the dog. This breed sometimes has a black tongue. The eyes are round and are usually brown, depending on the shade of the dog. The medium-sized ears are set high, dropping down, wide at the base and tapering to a point. The chest is deep. The front legs should be very straight and strong. The tail is fairly long, thicker at the base, tapering to a point and curving upward slightly. Dewclaws are sometimes removed. The coat is short and dense with a clearly defined symmetrical ridge of hairs growing in the opposite direction down the middle of the back. Coat colors include light wheaten to shades of red sometimes with a little white on the chest and toe and black. 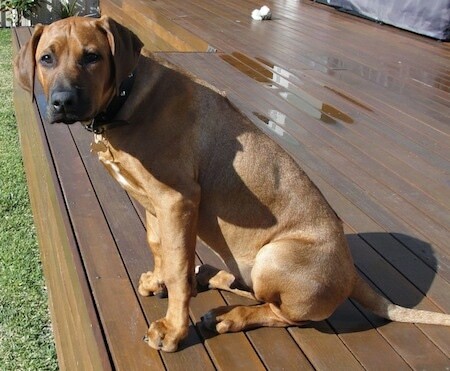 Purebred black Rhodesian Ridgebacks are very rare but do sometimes occur. A fine hunter, the Rhodesian Ridgeback is ferocious in the hunt, but in the home it is a calm, gentle, obedient, good dog. It is good natured, but some do not do well with small children because they may play too roughly and knock them down. They are intelligent, skillful and straight-forward dogs that are loyal to the family. They are brave and vigilant. Can be reserved toward strangers, so socialize well. They possess considerable stamina and without enough mental and physical exercise they can become high strung and unmanageable. This breed needs a firm, confident, consistent pack leader who can provide rules the dog must follow and limits as to what it can and cannot do. 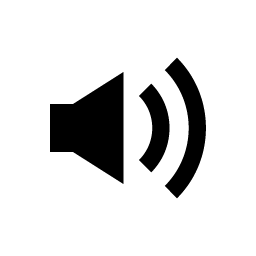 Meek and/or passive owners, or owners who treat the dog like a human rather than a canine will have a hard time controlling this breed and may also cause them to become combative with other dogs. When given what they need as the canine animal they will be excellent companion dogs, but are not recommended for most people, as most do not have the time nor energy to put into them. Ridgebacks react best to an extremely consistent and firm but calm approach to training. They are intelligent and learn quickly, but will be stubborn and willful if they are stronger-minded than the humans. Training should be gentle, but firm and should start young while the dog is still small enough to manage. They are also very good watchdogs, but not suggested for guard dogs. They are very protective of owners. This has to be addressed during their early training. This breed can be more destructive than a Lab if not given enough exercise and is not convinced the humans are his authority figure. Do not overfeed this breed. Provided this dog meets cats and other pets when it is young, any potential problem will be prevented. Ridgebacks make excellent jogging companions. Rhodesian Ridgebacks are a hardy breed, able to withstand dramatic changes of temperature, however they are susceptible to hip dysplasia, dermoid sinus and cysts. Also prone to mast cell tumors. Rhodesian Ridgebacks will do okay in an apartment as long as they get enough exercise. They are relatively inactive indoors and do best with a large yard. These dogs have great stamina and you will tire long before they do. They need to be taken on daily, long, brisk walks or jogs. In addition, they need plenty of opportunity to run, preferably off the leash in a safe area. 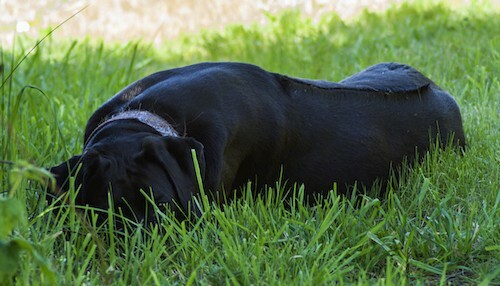 If these dogs are allowed to get bored, and are not walked or jogged daily, they can become destructive and start to display a wide array of behavioral problems. 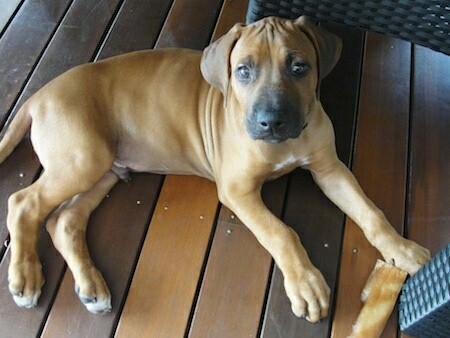 The Rhodesian Ridgeback originated in the Kingdom of the Matabele before it became Rhodesia and then Zimbabwe. 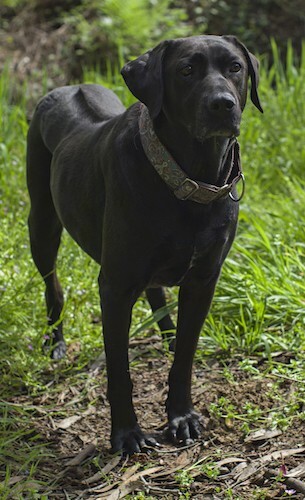 It worked as a hunting dog and as a retriever, took care of children and guarded property. It descended from crosses between ridgebacked dogs that were imported by Boer settlers in the 16th and 17th centuries that were originally kept by native tribes in South Africa along with breeds such as the Khoikhoidog, Mastiff, Deerhound and possibly the Great Dane. Its standard, fixed in Matabeleland, dates from 1922. Reverend Helm introduced two Ridgebacks into Matabeleland in 1877. Big-game hunters soon discovered, that if used in packs they were excellent in hunting lions on horseback, hence the breed's other name, the "African Lion Hound." The dogs did well in the African heat of the day and the damp, cold nights. The breed was imported to the United States in 1950. 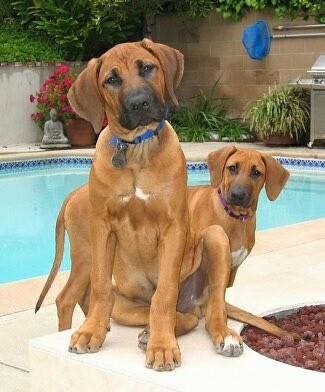 The Rhodesian Ridgeback was recognized by the AKC in 1955. 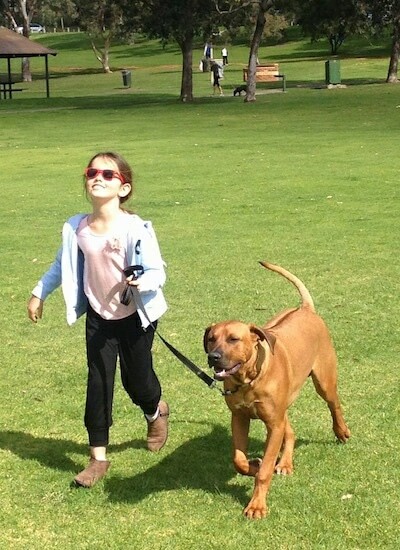 Bruce the Rhodesian Ridgeback at 6 months old—"Proud moment with Bruce, he is now so good on the lead at not even 7 months old our 8-year-old niece can walk him in a park surrounded by dogs. To add to that Bruce actually weighs 20kgs (44 pounds) more than my niece." 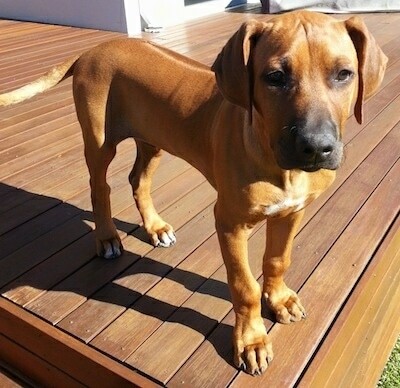 Bruce the Rhodesian Ridgeback puppy at 18 weeks old—"After adopting a lot of the methods used on Bruno and Spencer Bruce is doing well. Reading both blogs was the best information I received on raising a puppy. We regularly receive comments from people visiting on how well behaved and docile he is, but yesterday received a comment from a passing stranger walking past us on our walk. Bruce was having off lead time on a bush path. She stopped to tell us our gorgeous he was and he is so well behaved and docile and seems to be very content and happy within himself. It was great to hear this especially when Bruce was out of his yard and she was a complete stranger. It makes all the time and effort worth while. Bruce is likely to be a 45 - 50 kg (99 - 110 pounds) dog fully grown. He is very big for his age and breed, having a well balanced dog is extremely important to us and extra important due to his likely weight and size." 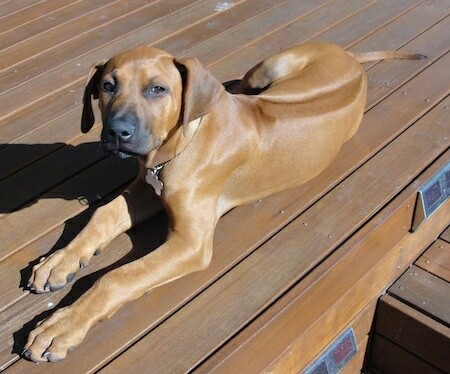 "Kiara is a female Rhodesian Ridgeback shown here at 7 years old. She loves water, snow and anything edible! She is very slobbery and likes to get up on the sofa when no one's looking. She is the sweetest, friendliest dog we've ever had, although she has a loud, intimidating bark."